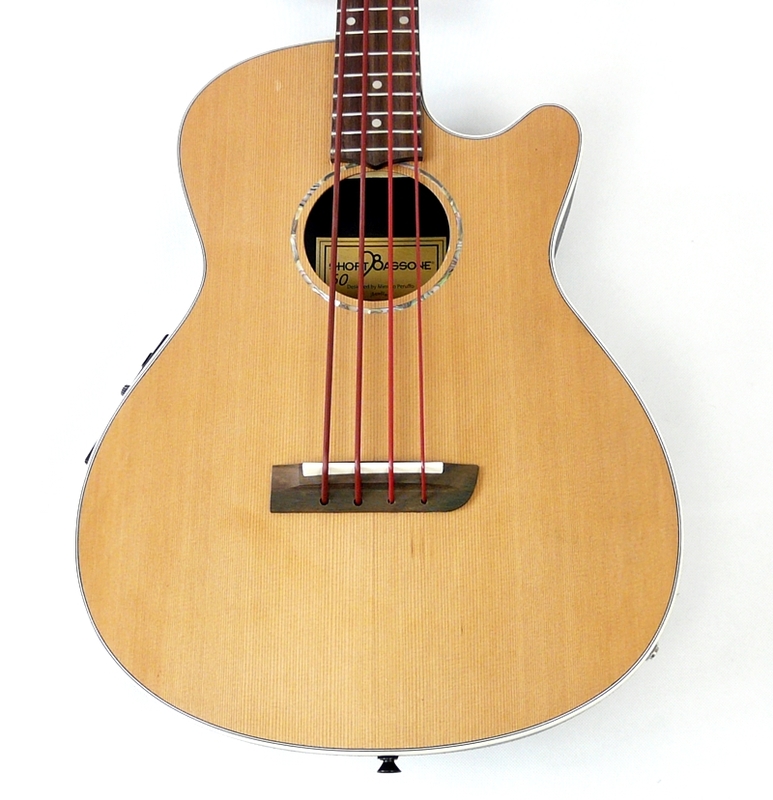 Basové ukulele s zvukem kontrabasu. Nová basa od Mahimahi. ABS tělo podobně jako u Ovation, ale má horní zvukový otvor na lepší promítání zvuku. 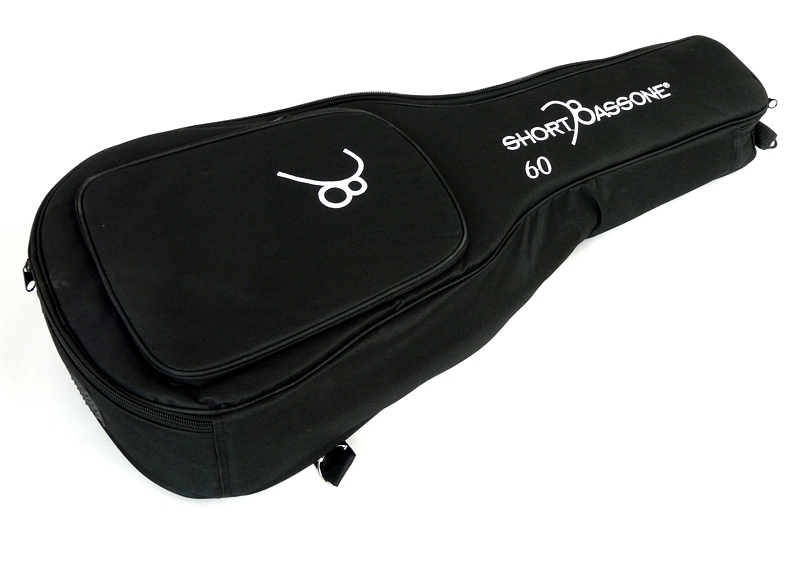 The new Short bass one 60 model comes with a plastic back with a hole on the top for better projection. The mixed Amplification System Active / Passive is controlled by a switch. 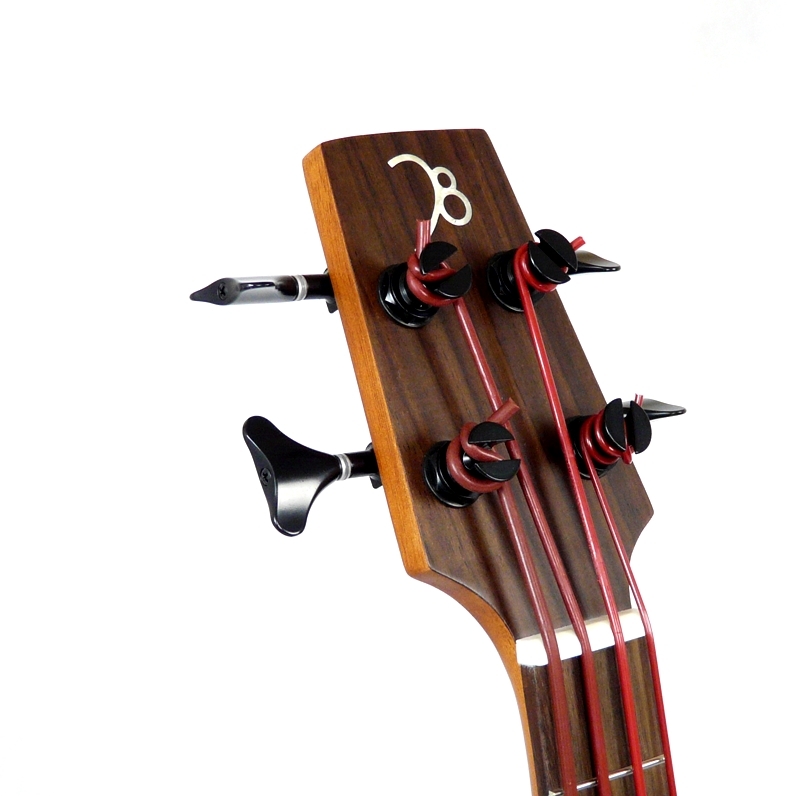 A warm and powerful sound that resembles the double bass one because of the Thunder Reds strings by Aquila Corde Armoniche Srl. 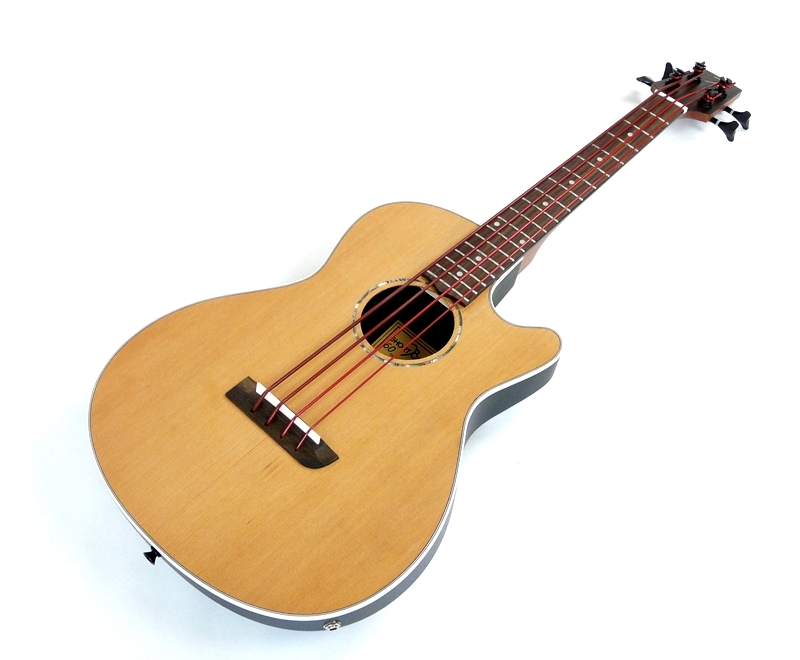 The cutaway model guarantees a full-scale keyboards playability. 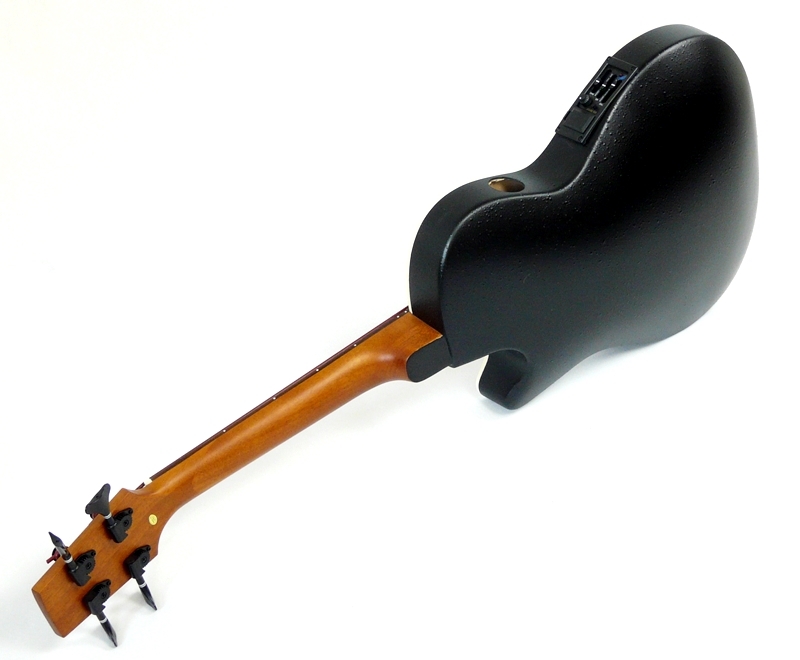 Amplification System: Switchable through a button situated near the volume and tone knobs, you can select the piezo pick up under the bridge or alternatively the piezo transducer when necessary. 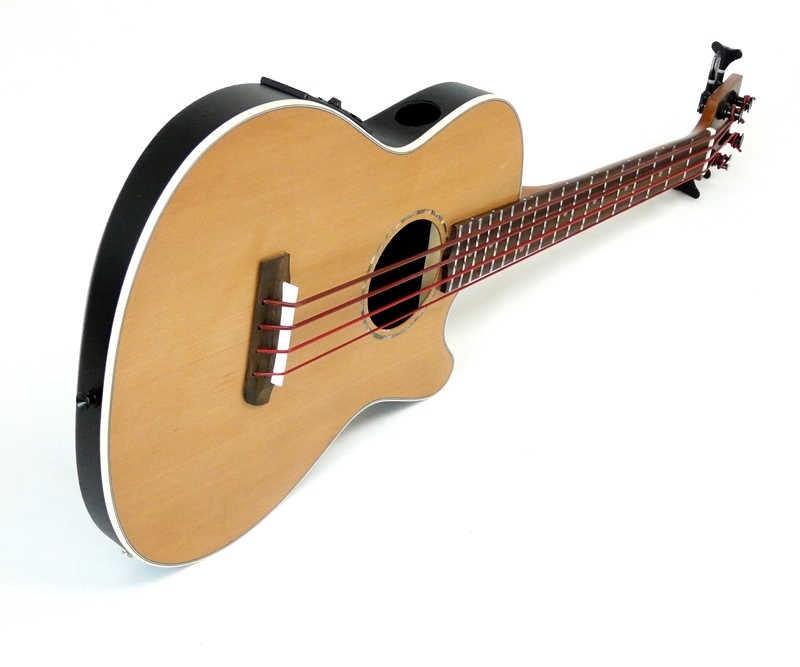 The piezo is an active system with tone and volume controls: this solves resonance problems and guarantees a clean sound thats ideal for concerts or recordings sessions. 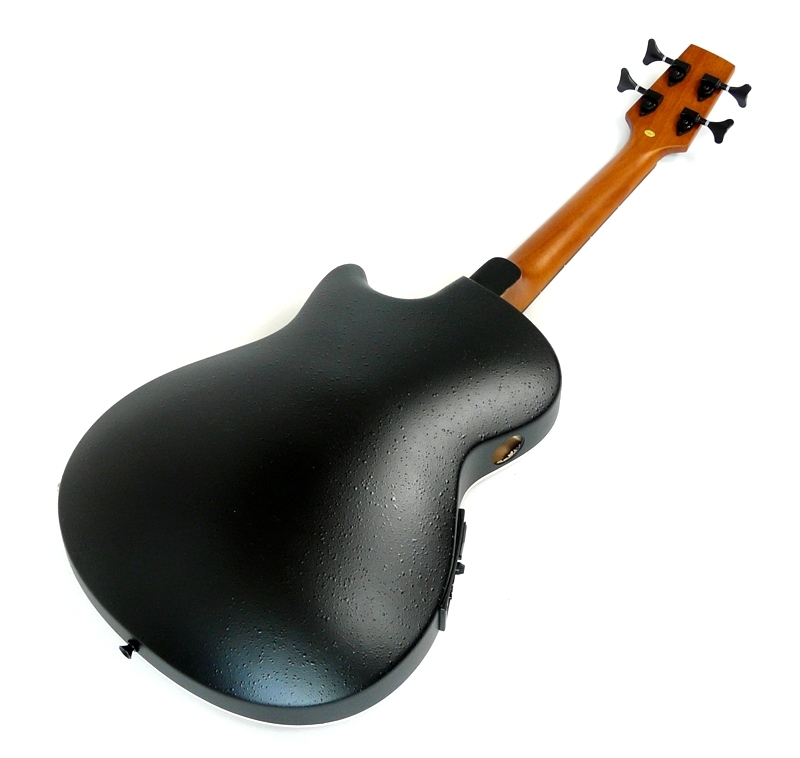 The piezo transducer guarantees high fidelity to the original sound.